Sergio Lub created this magnetic bracelet with inspiration from the sea. It has two rare earth permanent magnets and is made of pure metals. No plating is used and it is Made in USA. 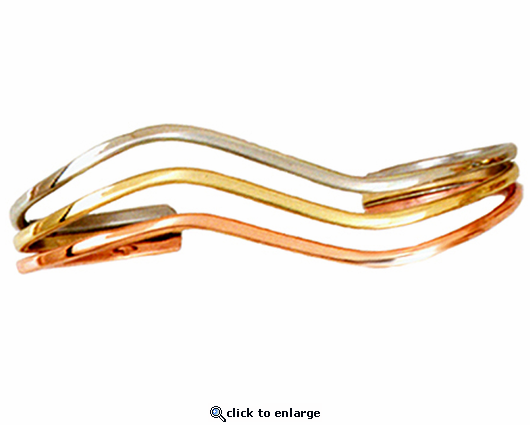 He handcrafted this fluid design to fit your wrist comfortably. It can also be a nice style to add movement to a grouping of thinner bracelets.